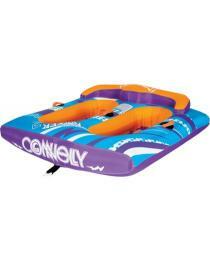 The Connelly Rocker 2 towable tube is a 2 Rider seated style towable tube for up to 2 riders. 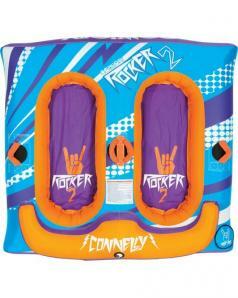 Crank up the volume a rock out on the lake this weekend with the Connelly Rocker 2 Towable Tube. The double rider cockpit style tube is contructed with a 28 gauge PVC bladder and covered in 840D nylon. Grab some friends and rock out all day in the lake with the Rocker 2 Tube.